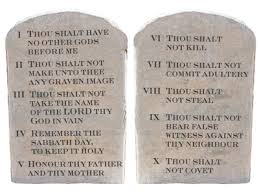 This is the third in a ten-part series on the most important set of guidelines in human existence: the Ten Commandments. I’m not covering them in numerical order or even in order of importance. This isn’t a count-down; it’s a refresher. 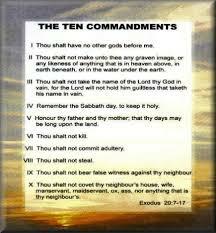 The Ten Commandments are as equally relevant today as they were when they were given to Moses. In fact, they’re even more relevant. The main attack against the Commandments is that they’re “old-fashioned” and out of step with current realities. Nothing could be further from the truth. God’s truth doesn’t change. Hemlines change; beauty ideals change; scientific theories come and go, but God’s truth remains as fresh and clear and refreshing as ever. And the worse it gets down here on Earth, the more we need God’s help and guidance. Thank God for the Ten Commandments! They’re both your first and your last line of defence. They’re meant to be memorized as a “To Do” list and a “To Don’t” list; you should know them as automatically as you know your name. The commandments aren’t meant as a way to interfere with your pleasure, but to keep you from making choices that will lead to pain. If you find yourself wondering what you should do, look to Jesus, because the solution to every problem we’ll ever face during our time here on Earth was modeled by something Jesus either said or did. And, as we know, Jesus based his teachings on the Ten Commandments. I’ve been born-again for nearly 16 years. During that time, I’ve heard some pretty wacky things from Christian preachers and self-professed born-agains. But some of the wackiest things by far are the long drawn-out sob stories, with gory details, about how abusive their parents were to them when they were kids. I’ve heard it from televangelists; I’ve heard it from local pastors; and I’ve read it on blogs by people who say they’re born again. In other words — I’ve heard it from people who should, as my grandmother would say, “know better”. Honor thy mom and dad. As born-agains, we should NEVER speak badly of our parents, no matter how horrible they were (or are) and no matter what crimes they’ve committed. If you have issues with your parents and they don’t want to discuss those issues with you, take them to God. If your parents abused you in some way when you were minors, it’s past history now. Don’t speak of it. Don’t even think about it. Just choose to forgive your parents and pray for them. Pray hard, like they were your children. If you don’t pray for them, who will? If your parents are still abusive towards you, keep your distance from them. God doesn’t say to suffer abusive parents; he says to honor them. You honor them by not being rude to them. You honor them by not speaking badly about them. You honor them by choosing to forgive them. You honor them by not digging up the past. You honor them by praying for them. Consider Noah. He got drunk and passed out naked. His drinking binge is now part of Old Testament lore, but when it happened, it was a family issue. One of Noah’s three sons (Ham, the youngest) found him drunk and naked and ran to tell his older brothers. When they heard what had happened to their father, the two elder sons took a blanket and walked backwards into the room where Noah was passed out. They gently laid the blanket over him without looking at him, and then left the room. They covered their father. They honored him physically by covering him, and they honored him spiritually by covering for him. 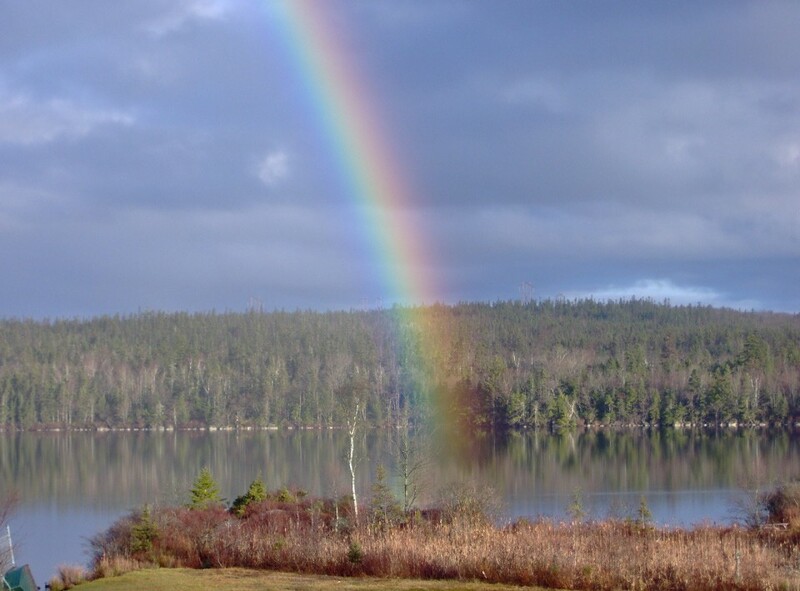 When Noah sobered up and found out what had been done, he blessed his elder two sons and cursed his younger one. His blessings and curses still hold. We are following the commandment when we choose to cover for our parents. For most unbelievers, this is well nigh impossible, but for us born-agains, it should be done without question. What the loose-lipped televangelists and pastors don’t seem to realize when they’re regaling us with stories of their childhood abuse is that it’s a sin to speak badly of your parents, even in your heart. Dishonoring your parents is just as great a sin as murder. Many of us are blessed with amazing parents whom we honor without thinking twice about it, but many of us have suffered parents who are less than ideal. The next time you speak of your mom and dad, be kind, even if they weren’t kind to you. If you have only one happy memory of them, share that memory. Cherish that memory. Use that memory as a means to pray for them. If you have no happy memories of your parents, pray for them anyway. Honor thy father and thy mother with your prayers, and with your silence. By abornagainbeliever in Uncategorized on February 27, 2015 .